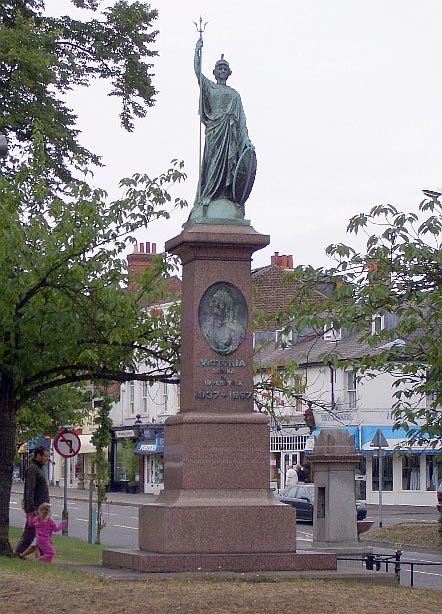 This Diamond Jubilee Memorial, which takes the form of a statue of Britannia with a plaque of Victoria on the base, is just outside Williamson's home and studio, Grapes House. Unfortunately, it now overlooks a very busy traffic junction. In front of it stands a stone drinking fountain given to the parish by Queen Victoria, when water from the nearby iron pump (isolated on the next traffic island) was declared unfit to drink.